A bike ride is an excellent orientation to Lisbon and its sites, as seen from vantage points shared by few others, either Portuguese or foreign. Explore Lisbon historical and scenic path along waterfront to the Discoveries Monument and Tower of Belém, then visit the 16th Century Jerónimos Monastery and nearby don’t forget to try the delicious Pastéis de Belém (custard tarts)! Discover the places in Lisbon near the Tagus River – Doca, Alcantara and the fish vegetable and fish market of Riveira. Visit Parque das Nações, Old Expo 98 and ride a bike to discover the gardens, the Vasco da Gama tower and the Oceanarium. 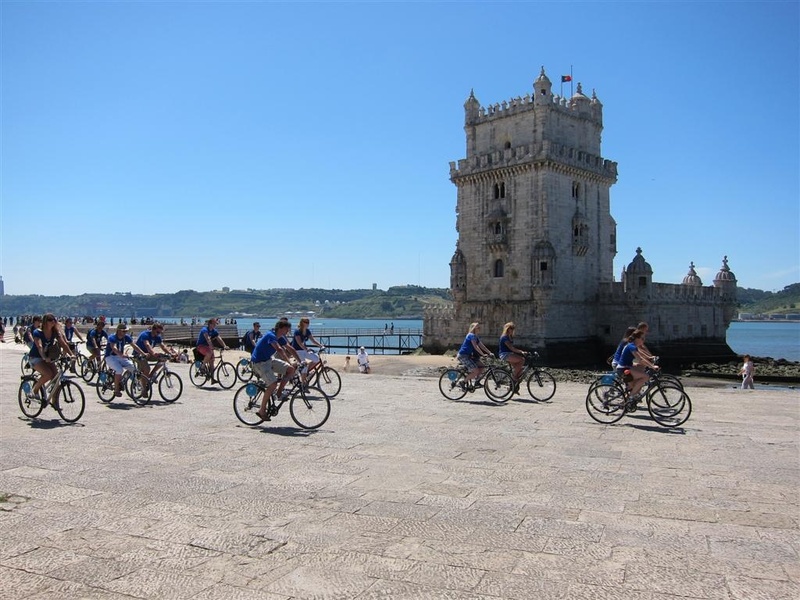 Ride a bike trough Lisbon historic centre and visit the Castle, Alfama and the Mourish quarter. We do have a partner for Bike Tours in Lisbon! More relaxing than walking, have fun while exercising! Road or Off-Road go at your pace – stop when & where you want! It is Affordable and Convenient. Find out in Traveling to Lisbon Website more information about this service.